This is not a Quote Calculator, each quote is calculated by real people in real time, customizing our auto transport costs to fit your needs. Once submitted, you’ll receive a quote within minutes. We won’t sell your contact information and we won’t spam your mailbox. We need accurate contact details so that we can send you the personalized quote. Coastal Auto Shipping provides statewide, nationwide and worldwide shipping services from Miami, Florida. 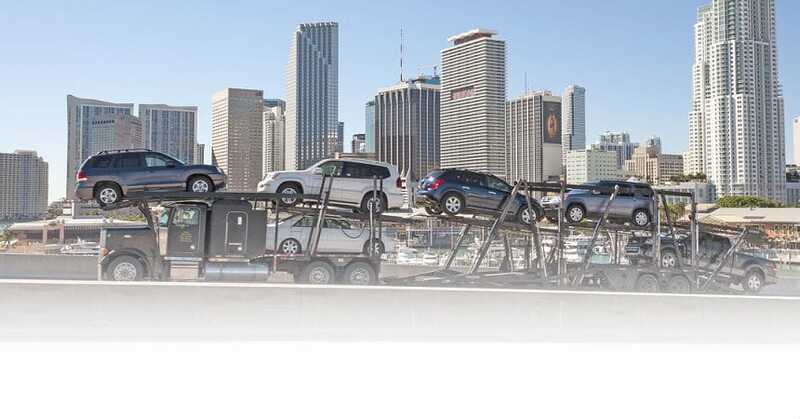 Our Miami auto shipping company ships cars, trucks, SUV’s, boats, and auto machinery. We are based in Medley and we have access to several ports and harbors including the most important one – Port of Miami. Coastal Auto Shipping has already helped hundreds of people who wanted to ship their vehicles from Miami and other ports in Florida to International Auto Shipping locations including Central and South America, Europe, Asia and Australia. We also extend services to customers relocating to Hawaii, Alaska and Puerto Rico. It doesn’t really matter whether you are interested in shipping , regular cars, motorcycles, recreational vehicles or vans, we are here to help you. We have experienced staff and great experience in the field of transportation and shipping, so we can guarantee smooth and fast shipping. Miami auto shipping is what we do for years. In addition, we will take care of all the paperwork that usually accompanies this type of activity for you. One of the things that make us special and different from the others is the competitive pricing. We are here to stay and we tend to build strong relationships with our clients, so they can recommend us to their friends and coworkers or use our services again. Instead of looking for a fast profit we are focused on the satisfaction of our clients. Now let’s highlight our shipping services and explain how they work. Once you learn more about them you will be able to decide which one is the best for you. Nationwide vehicle delivery is one of our main services provided to our customers. This means that we can relocate your new or used automobile from one state to another at low costs. Using methods of transportation like open auto haulers and enclosed auto shipping to ship vehicles cross country. We help customers relocate any vehicle from residence, dealerships and even auto auctions. We are in contact with auto hauling companies nationwide which means we can get your car from to any location. Roll-on Roll-off auto shipping from Miami is a very fast and simple method of auto shipping all over the world from Miami. It is good to know that RoRo shipping is definitely the most popular form of shipping and people with different vehicles choose exactly this method when they want to ship their cars abroad. In case you are interested in international auto shipping wheeled cargo that has dimensions that are not regular like recreational vehicles, heavy trucks, motor homes, cranes and similar vehicles. Using a RoRo method of shipping is the most convenient option in situations like this. Of course, the container shipping option comes with its own advantages too. The container solution provides a little bit safer and more secure way of shipping vehicles, especially cars from Miami. We have containers with different sizes in our offer so you can choose the one that suits your needs the best. When it comes to the loading and unloading, our clients can do this at the port or we can send our team and the container on-site. These are only some of the benefits of using Coastal Auto Shipping when you need any vehicle shipping services. Call us today and find out more! © 2019 Coastal Auto Shipping, LLC.